Fashion is cyclical. It repeats itself more often than we would think. Sometimes even the trends that we least expect to re-emerge may make a fiery comeback. So, I was quite surprised when Vetements announced their collaboration with Juicy Couture and the subsequent appointment of Jamie Mizrahi as creative director of the brand. As with most of us, the first thing that comes to my mind when someone says Juicy Couture is a pink velour tracksuit with the word Juicy printed on the backside of the pants. It is definitely not something I thought could come back in fashion. Is the tracksuit here to stay? Well, the idea of going back to the notorious 2000s might seem like a mistake for some, but it was undoubtedly a glorious era of gossip columns, celebrity reality shows, the duet of Paris Hilton and Nicole Riche, pink velour and the rise of the Kardashians. Why not celebrate it, right? Nevertheless, I have to confess, that somewhere between the 2000s and now, my perception of a tracksuit has changed. Before Chloe’s 2015 athleisure wear I would associate it with hot-tempered post-Soviet era hooligans, who have watched too much Rocky, Goodfellas and Russian detective TV series’. That was not a nice feeling and I think a lot of my readers would agree. Thanks to the new trends the associations have been eroded. The new wave of tracksuits officially started off in 2015. Subsequently, 2015 ended up being named ‘the bad taste meets good taste year’, for obvious reasons. The tracksuit was doomed to be on the side of ‘bad taste’, but somehow Chloé made it work. Now social media’s major influencers, supermodels and celebrities like Bella Hadid and Rihanna are all being spotted rocking similar looks. 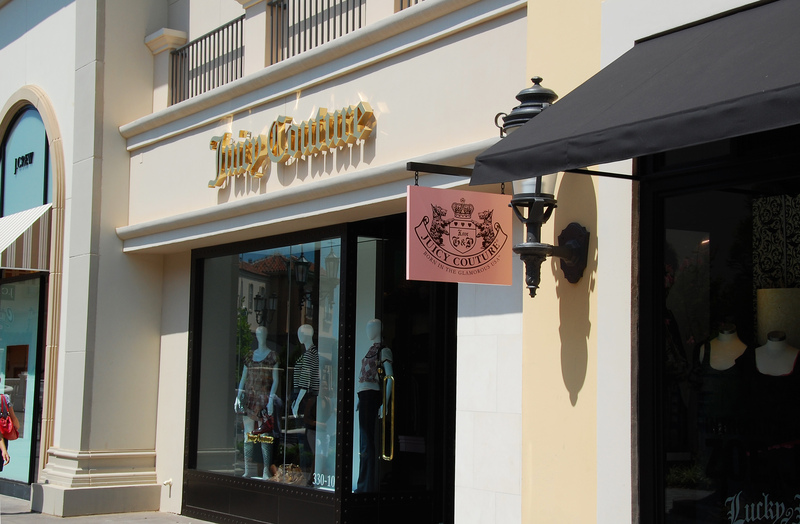 Now, at the best time possible, we can see the revival of Juicy Couture. Thanks to the very strategic and forward-looking appointment of Jamie Mizrahi as the new creative director. To let you know a little bit about her, Jamie is a very famous celebrity stylist with an impressive clientele. Her clients include Katy Perry, Suki Waterhouse, Nicole Richie, Eva Mendes and many others. The whole collection was a tasteful throwback to the history of Juicy Couture, you can still spot some pants carrying Juicy embroidered on the rear. But it was not just about the 2000s, it had hints of normcore and 60s fashion. It’s very romantic and yet modern and that is why I think Jamie Mizrahi has done a superb job at conveying the old spirit of Juicy through new silhouettes and styles.